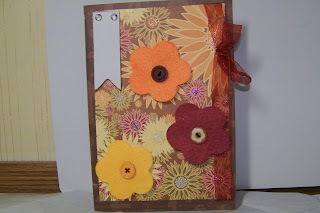 Just A Scrappin' Challenge for Mar.21, 2013 is Use felt - make a card, LO or project using felt some where and the color orange. I love all the color choices. The ribbon gives the perfect touch especially with your flowers. Great flowers, and I love the background paper! Good job! 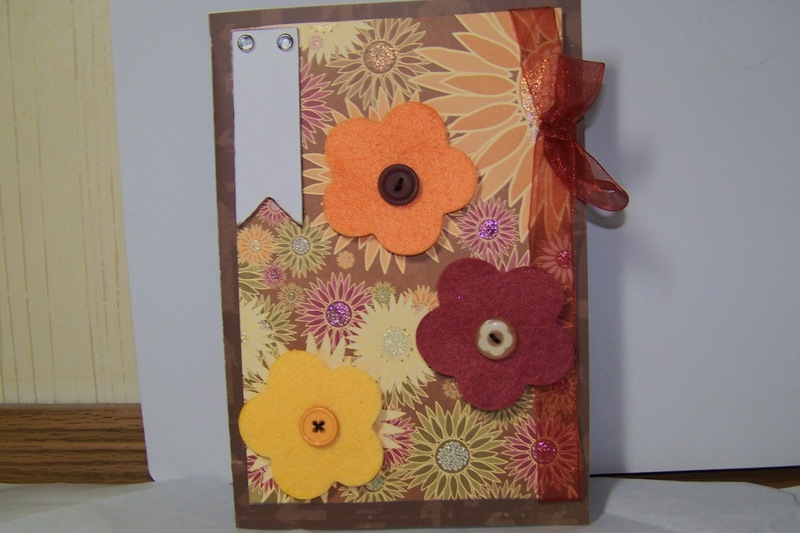 Love the color combination and the felt flowers. The flowers blend so well with your pattern paper. Beautiful.